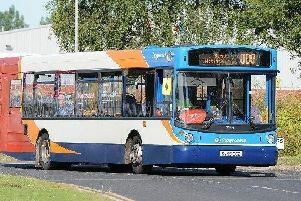 The accident happened on the westbound carriageway at junction 10 for Burnley during Tuesday morning's rush hour. The accident happened on the westbound carriageway at junction 10 for Padiham during Tuesday morning's rush hour. Traffic is reportedly using the hard shoulder to pass the scene.